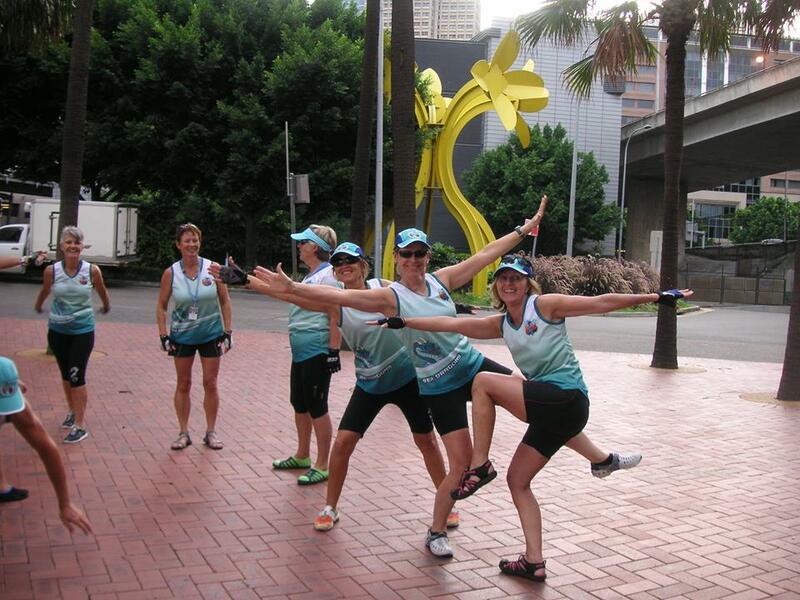 Dragon Boating is all about regattas and racing as a team. The Australian racing season runs from October to April, with four rounds of racing held in and around Sydney, culminating in the State and National titles each year. In NSW the state titles are held in the purpose built Olympic Regatta centre in Penrith, while the National Titles are held in different capital city every year. There are other smaller regional regattas held through out the year and we use these selectively to prepare for the season ahead and give some race experience to our new paddlers. 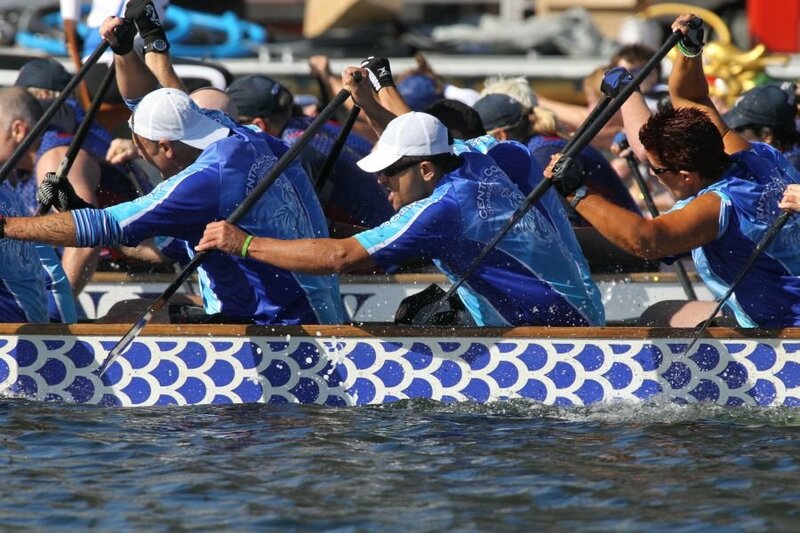 Dragon Boat Racing Competitions can be held over any distance from 200m upwards and on a variety of different types of courses such as lakes, rivers, harbour areas and the sea. Some events are over long distances such as the 18km marathon in Port Macquarie. Generally though, we race over 400-500m courses. So it really is a sprint event requiring excellent fitness. On a regatta day there are usually more than 50 races across different categories and divisions. A regatta day is full of fun and colour. We usually arrive around 7am to set up our area, grab that first coffee and attend captain’s briefings. Races start around 8.30am with marshalling about 30 minutes ahead of that. It is a busy day and we eat lightly as we need to be ready to go as we are called up for each race. 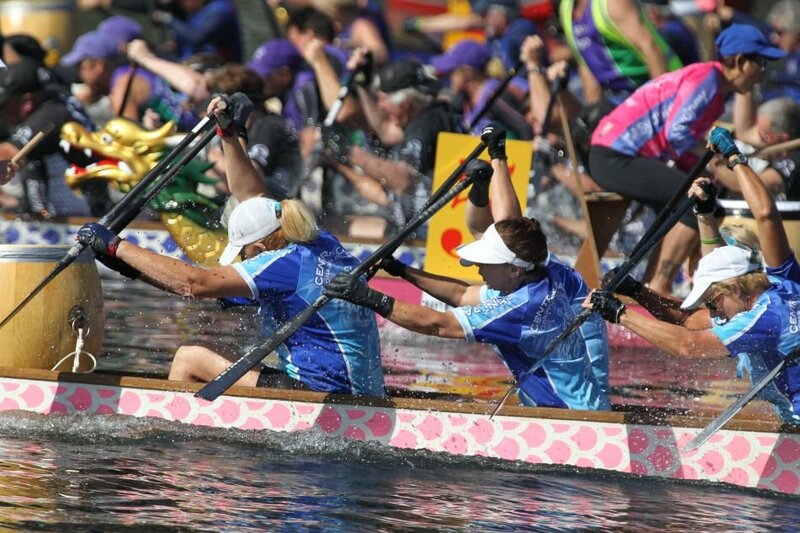 Dragon Boating is highly competitive and tightly contested so there is no room for a bad race. Each and every race counts. While it is competitive there is also an amazing spirit and camaraderie among all competitors. We are a group of people who just love to see others getting involved and having a go. 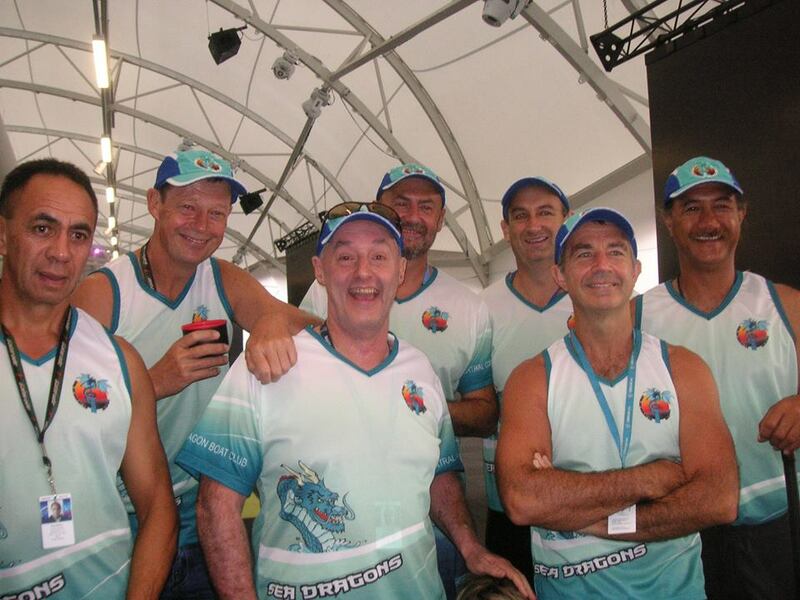 The Central Coast Dragon Boat Club has a proud history and we love to win. We are a real contender at every event we enter and we train for results. But we also like to have fun and one of our rituals is a stop off at the Mooney Workers Club on the way home from Sydney based regattas. We love to enjoy a quiet drink and meal there while our captains award medals to our winning paddlers. It is a great way to end a fun day.